Marky Ramone: The “last link” to the Ramones dishes on drumming, pasta sauce for autism, and what happens when you hang out at Stephen King’s house. 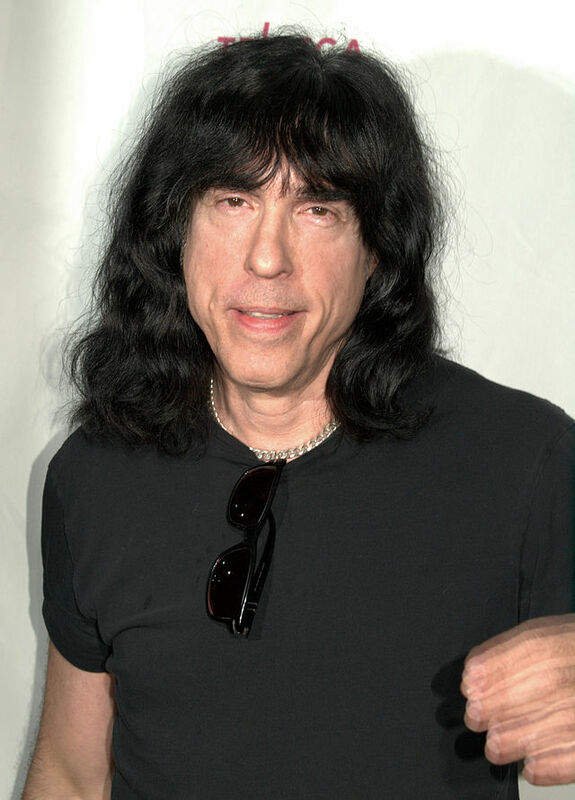 Marky Ramone at the 2009 Tribeca Film Festival. Photo by David Shankbone, courtesy Wikimedia Commons. Marc Bell, aka Marky Ramone, spent decades behind the drum kit for the Ramones, arguably the most important and influential punk rock band of all time. They were the leather jacket and ripped jeans-clad architects of punchy two-minute, three-chord songs about beating on brats with baseball bats, shock treatments and lobotomies, sniffing glue and wanting to be sedated. Simultaneously, they simplified and repackaged your parents’ rock and roll into Ramones music, recording distinct versions of The Searchers’ hit ballad “Needles and Pins” (a song co-written by Sono Bono) and Freddy Cannon’s “Palisades Park” and asking if you wanna dance under the moonlight (“do you, do you, do you, do you wanna dance?”). Tragically, singer Joey Ramone died from lymphoma in 2001 and didn’t live to see the Ramones’ induction into the Rock and Roll Hall of Fame the following year. Three months after the induction ceremony, original bassist Dee Dee Ramone died from a drug overdose. Guitarist Johnny Ramone died from prostate cancer in 2004. In July of 2014, original Ramones drummer Tommy Ramone – who’d recommended Marky be his replacement in 1978 – also succumbed to cancer. Marky Ramone, thankfully, remains alive – and active. He continues to play drums, and recently released his autobiography, Punk Rock Blitzkrieg: My Life as a Ramone (Simon & Schuster). His book tour stops at Changing Hands Bookstore at Crescent Ballroom in Phoenix on January 20, where Arizona Republic music editor Ed Masley will host a conversation with Ramone (click here for tickets). I recently caught up with Marky to talk about the book, the Ramones, New York City in the 1970s, overcoming personal demons, his radio show on Sirius, his pasta sauce, his beer, and his charitable interests. I told you he was active.